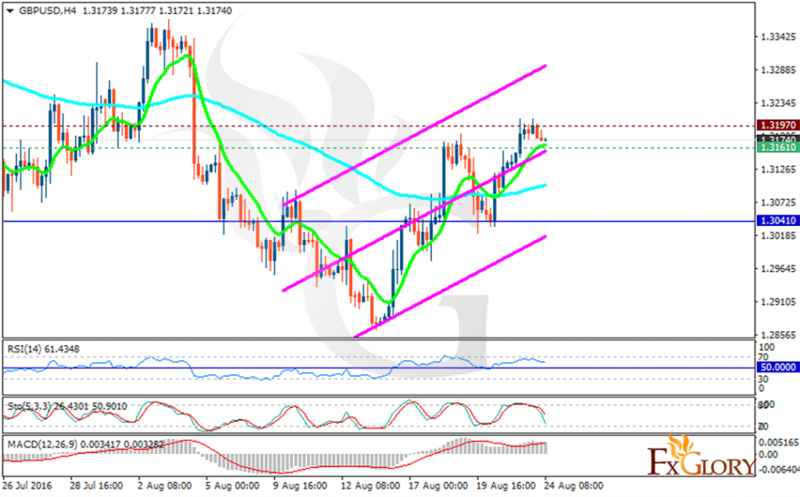 Generally GBPUSD has been moving with bullish bias after falling to 1.28 area. The support rests at 1.31610 with resistance at 1.31970 which both lines are above the weekly pivot point at 1.30410. The EMA of 10 is moving with bullish bias along the ascendant channel as well and is located above the EMA of 100. The RSI is moving above the 50 level and is getting close to the overbought area, the Stochastic is showing downward momentum and the MACD indicator is in positive territory showing the price growth. In case of the resistance level breakout buyers can target 1.3372 however, the support level breakthrough will smooth the way for further decline targeting 1.3023.